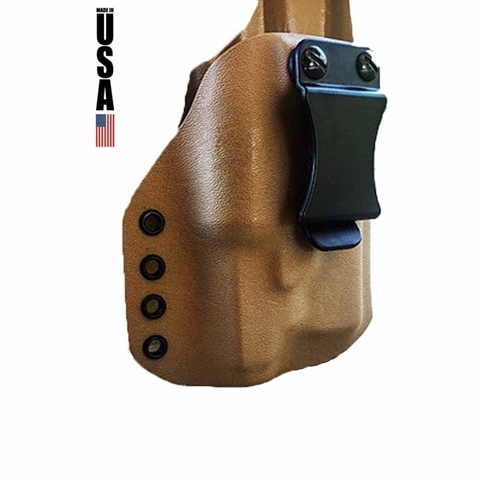 Our holsters are all Made in the USA. 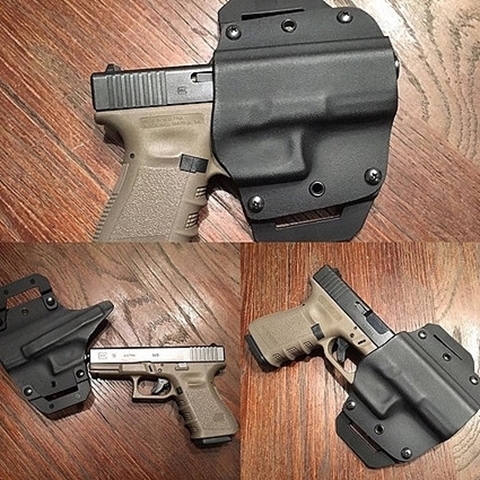 You can choose ETS thermoplastic or go with the Modular Kit by Alien Gear Holsters. 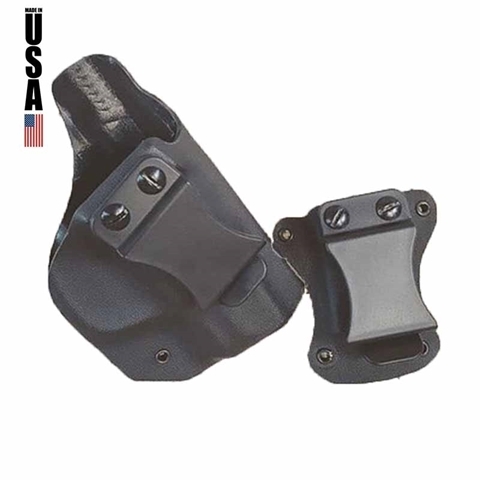 The ETS holsters are thermoplastic Kydex made, which reduces the wear and damage of your handgun. 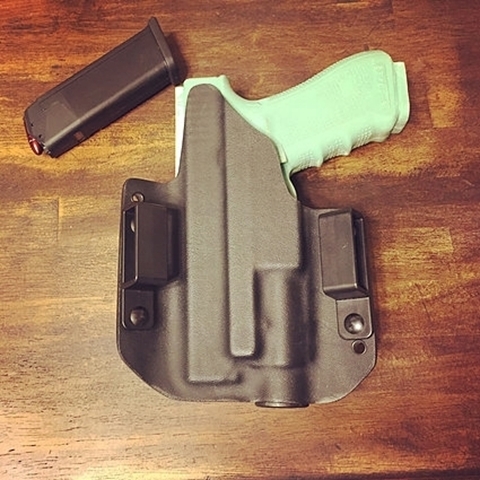 Unlike Leather, Kydex has no break-in period. 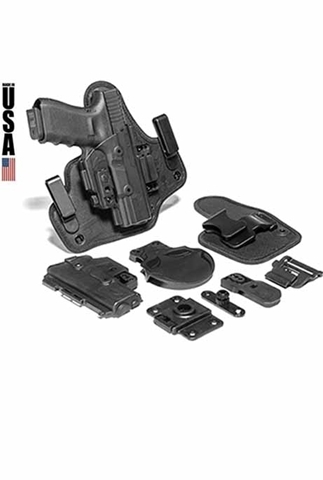 Each holster is hand crafted to meet your needs. 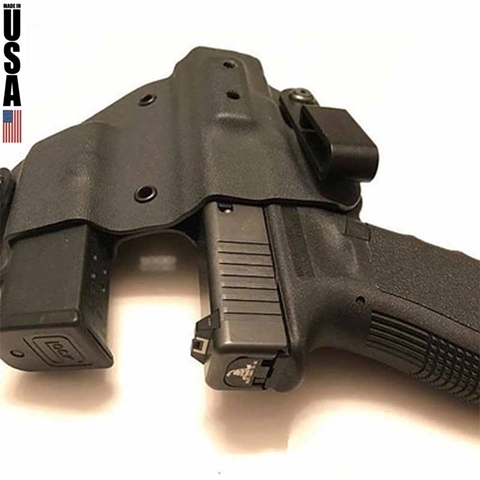 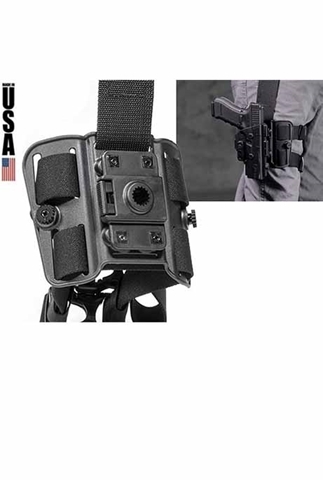 The Alien Gear Modular Kit is simply one holster that can quickly and easily transform into a variety of carry positions.